THIS UNIQUE HOME is ideally located across the street from a pond in the family-oriented neighborhood of Crystallina Nera West. Home features, 4 bdrms, 3.5 bath, bonus room, dark hardwood & ceramic tile flooring, granite, large windows & lovely architectural details. Inviting & functional main floor w/spacious living rm, well-designed galley style kitchen w/dark cabinets, glass tile backsplash, S.S appliances, granite counter tops & generous sized dining area. A rear entry mudroom w/½ bath completes this floor. Upstairs boasts 3 bdrms all w/walk-in closets & a full ensuite featured in the master. RETREAT to the upstairs to the 3rd floor where a bonus room w/vaulted ceiling encompasses the whole top floor. 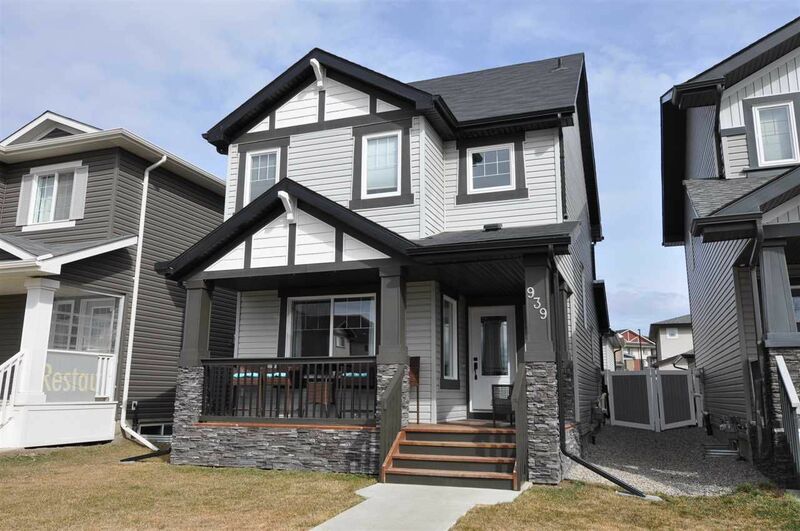 Fully developed basement offers a family rm, 4th bdrm & stunning 3pc bath. Finishing off the home is the quaint front porch that overlooks the pond, fenced/landscaped backyard featuring deck w/built in flower boxes & an eye appealing pergola, plus a stand-alone, double detached garage w/back lane access.